It’s September, and where I live in New England that means apples (and apple cider, apple pie, apple crumble…you get the idea), and trees going scarlet and blazing orange, and pumpkins, and chilly nights. While I love autumn, it also means the end of summer, which breaks my heart a little every year. No matter how glorious it was, there was never enough summer…never enough sea-salty days and marshmallow-sticky nights, never enough time to laze and dream and run and dive. 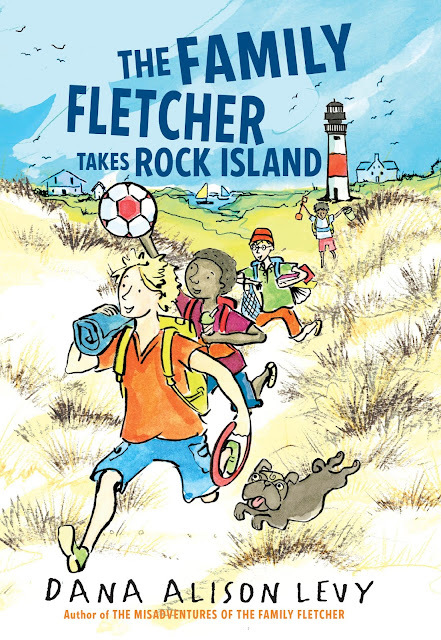 That’s why I’m particularly delighted, this autumn day, to share the cover for the new family Fletcher (mis)adventure, THE FAMILY FLETCHER TAKES ROCK ISLAND. Like THE MISADVENTURES OF THE FAMILY FLETCHER, this new story tells of Sam, Jax, Eli and Frog, and their dads, but this time it is a summer story, full of ice cream and intrigue, lobsters and lighthouses. Once again the incredibly talented Delacorte team created a perfect image. You can almost smell the salty dampness in the air, hear the seagulls wheeling overhead, feel the squish of hot sand between your toes. As the book explores, each summer is different, and even the most beloved rituals and traditions can change. But as as the Fletcher boys discover, new and different doesn’t always mean bad, even on Rock Island, “the place where time stands still." The book doesn’t come out until May, but you better believe I’ll be spending a lot of time this winter gazing at this cover, dreaming of summer days to come. I hope you love it too! The Fletchers are back on Rock Island, home of all their best summer memories. But from their first day on vacation, it’s clear that this year, things have changed. Their favorite lighthouse is all boarded up‘ and the Fletcher boys can’t figure out why or how to save it. Add a dose of Shakespeare, a very tippy kayak, a video camera, (maybe, possibly, or not) a swimming cat, and some new neighbors, and the recipe for a crazy vacation is complete. 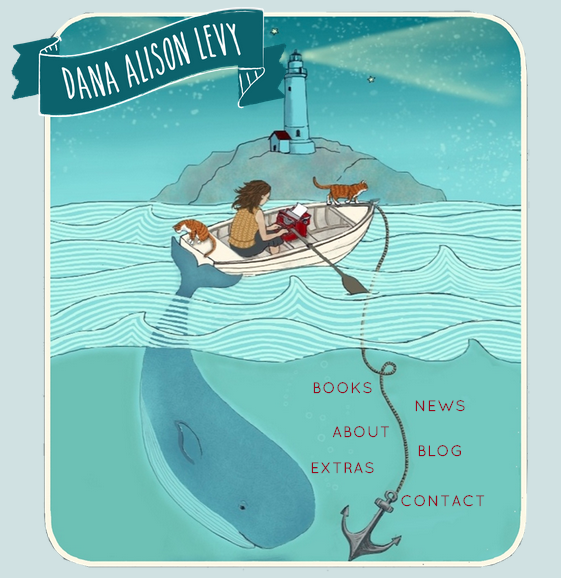 I chatted with Dana Alison Levy about the Fletcher family, reading, and school libraries last year. I wrote the words in red, and she wrote the words in black. 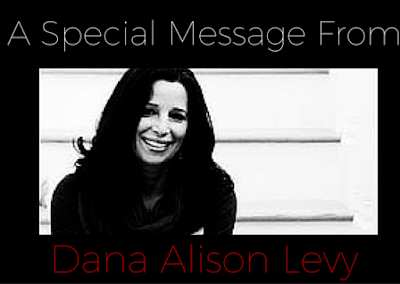 Thank you, Dana! Sam, Jax, Eli, and Frog are the Fletcher brothers, ranging in age from six to twelve, with passions that range from from invisible cheetahs to suspension bridges to what’s for dinner. Dad and Papa are seriously good at what they do, which is being parents to four boys. I have only two kids, and let me tell you, the thought of going to zone defense is terrifying to me. There’s a reason we never let them outnumber us. Dad and Papa are pros. When I was Frog’s age I desperately wanted to do whatever my big sister was doing. Frog is far better at being his own person than I was. Reading is absolutely vital to my health and well-being. It is how I recharge my energy when I’m depleted, how I find perspective when I’m lost, and how I refill my creative well so I can tell more stories. It’s also the way I connect to strangers around the world...when we’ve read the same books, we’re speaking the same language! A Fletcher Summer is being written as we speak! (Well, not really. I took a break from it to finish these sentences.) It will continue with more Fletcher shenanigans and mayhem, but this time they are on their long beloved Rock Island, where they have to confront changes in both themselves and the place they love. School libraries are the wardrobe, the magic coin, and the spaceship all in one, or at least they should be. When I hear about budgets being slashed and libraries being reduced, I want to liquidate my assets (which admittedly, are largely made up of of stinky hockey gear and books) and donate to libraries! 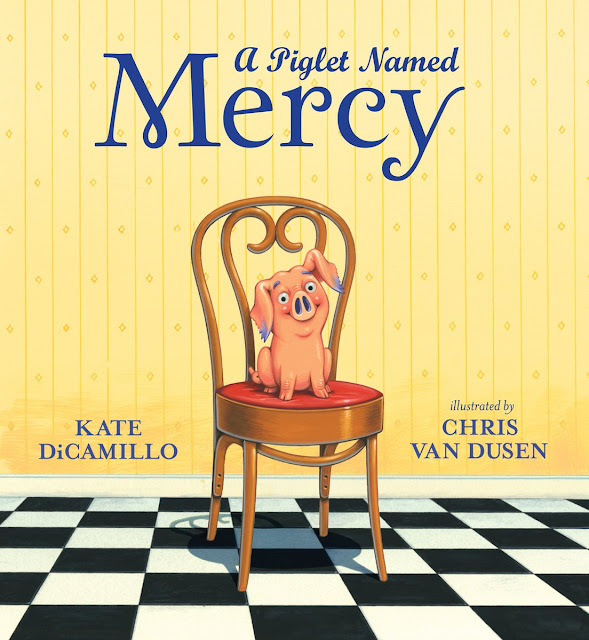 All students deserve a school library where they can find the book that makes them a reader. Mr. Schu, you should have asked me…Where I — or the Fletchers — dream of going next? 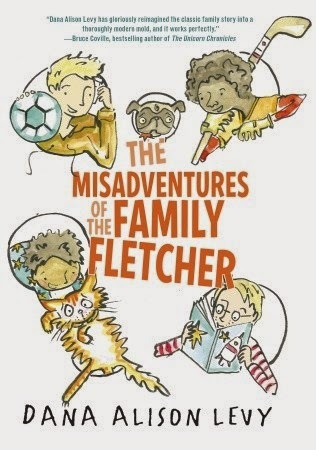 I would love to send the Fletchers in an RV through the United States, or have them take an old-school European vacation (“Shenanigans in Chateaux!”). As for me? Well, my travel dreams are endless (it’s my favorite thing to do, after reading), but one that’s at the top of my list is Alaska. It looks amazing! Who knows if the Fletchers or I will take these trips, but it’s fun to think about.